As announced yesterday, Nintendo would not have a big presentation at this year’s E3. Instead Nintendo could be said to be taking the scenic route with a number of events around the U.S for partners and the like. Later yesterday Nintendo of America released a statement via Game Trailers about the news and the reaction from fans. Nintendo of America’s Charlie Scibetta who serves as Senior Director of corporate Communications mentioned that Nintendo would be at E3 in some capacity. He stated that Nintendo would focus on Nintendo Direct and press events and will continue between now and E3. Nintendo Direct has always been used as a means to communicate directly to the fans that are on the Wii U console and 3DS handheld. Scibetta also noted that Nintendo would meet with business partners from Nintendo of America’s target area to work on promotion and improving business to boost operations. Normally these business meetings are done at the E3 show proper, but they haven’t done them in the last few years. Again this could be a good plan for Nintendo going into E3. They’re covering the promotion side—sans the presentation and Reggie on hype central—and the business aspect. While it’s something that some companies would take care of heading into E3 and after E3, this could be great for Nintendo given that the Expo will be the Sony/Microsoft show and Nintendo already emptied their bag earlier this month. When news broke that Nintendo wouldn’t be at E3, there was a lot of concern from fans and gaming media alike. Nintendo was quick to assure everyone that they would be at the Expo and the E3 Expo also informed everyone via Twitter that the gaming giant would be there to showcase games. There have been quite a few changes with Nintendo following the release of their financial performance for 2012. Nintendo President Satoru Iwata taking over as CEO of Nintendo of America was the most significant one besides Nintendo not delivering a big showcase at the Expo. Iwata has done well at making Nintendo of Japan a powerhouse when it comes to moving units especially the Wii. Putting Iwata in charge could be a great tactic. Even though the Japanese and U.S markets are different when it comes to gaming, Iwata can easily connect to consumers in a way that wasn’t done for Nintendo of America for some time. 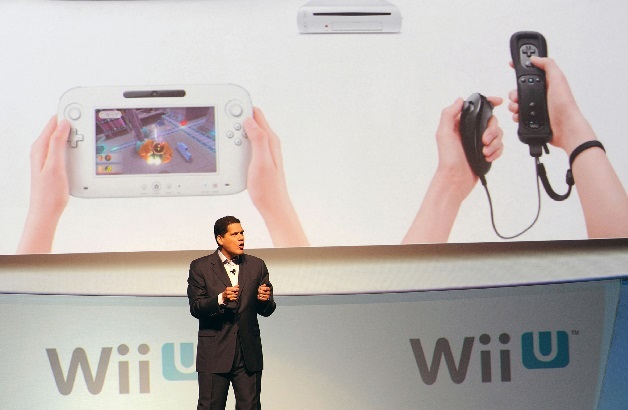 One of the main goals is to make sure that American consumers know what the Wii U is exactly—something that should’ve been established prior to launch. This will be one of the focuses of the Nintendo Direct features, E3, and advertisements in coming months under Iwata’s Nintendo of America.